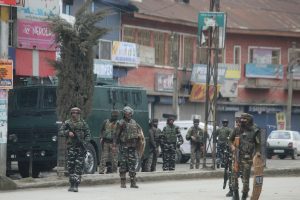 The separatists, Syed Ali Shah Geelani, Mirwaiz Umar Farooq and Yasin Malik, had called for election boycott and shutdown to highlight the Kashmir issue. 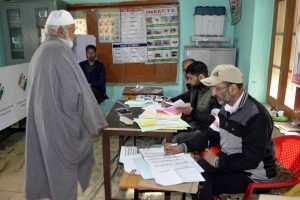 Separatist leader Syed Ali Shah Geelani on Friday again urged the people to boycott the remaining four phases of elections in J-K as the “goal cannot be achieved with non-seriousness”. 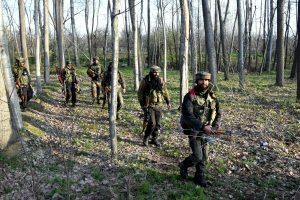 Security forces received information of the presence of terrorists in the forest in Branpathry Kahlil of Tral following which they launched a search operation. 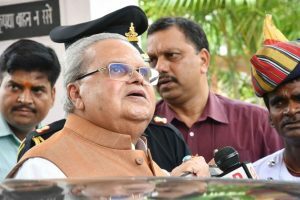 PDP said that Arun Jaitley should know more than anybody else about the laws of the state and that Article 35-A is not in any way a hurdle in investment. 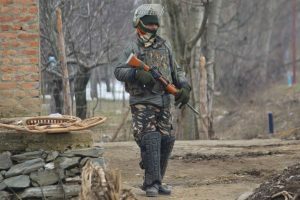 The J-K Police said that the terrorists held two civilians hostage during an encounter in Hajin, one of whom has been rescued. 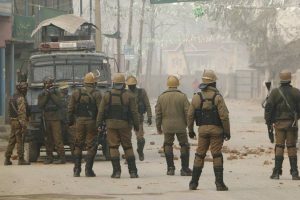 The terrorists hurled the grenade at the Main Chowk of the township located in Baramulla district of north Kashmir. 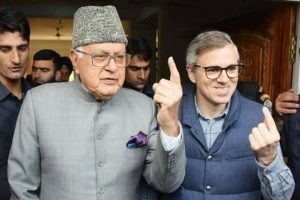 The two parties kept three of the six Lok Sabha seats in Jammu-Kashmir for “friendly contest” between them. 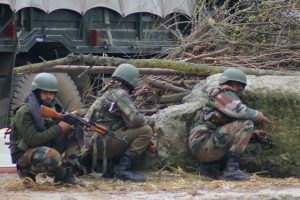 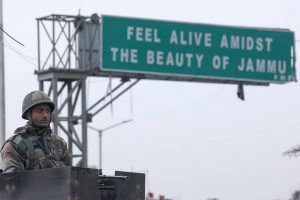 Two terrorists were killed and five security force personnel lost their lives after an almost 60-hour-long encounter between the forces and the terrorists in Jammu-Kashmir’s Handwara on Sunday. 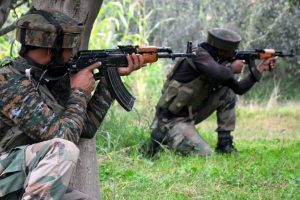 A Deputy Superintendent of Police (DSP) was martyred and a Major and soldier of the Army injured on Sunday in an encounter in the Turigam village of Kulgam in South Kashmir. 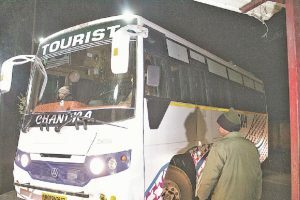 After expressing satisfaction over the safety arrangements for Kashmiri students in Dehradun, a delegation of People’s Democratic Party (PDP) added high drama by arranging buses to take about 200 students to J-K. 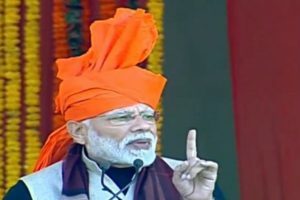 The PM, who wore a traditional Dogra saffron turban, also laid the foundation stones of and inaugurated a series of projects worth Rs 35,000 crore for the development of the region. 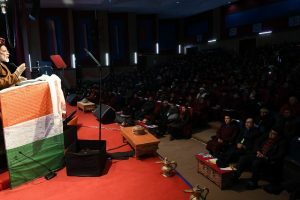 Addressing a gathering after the inauguration of the projects, PM Modi hailed the valour of the people of Ladakh and recognised their contribution in the wars that India fought in defence of its borders. 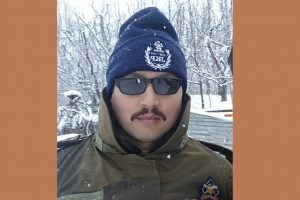 While one of them is Shakeel Ahmad Dar, the other is Zeenat-ul-Islam alias Zeenat alias Usman. 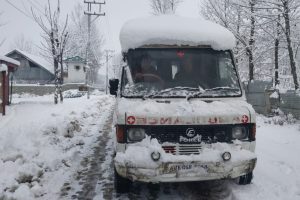 The biting cold caused due to the overnight snowfall in Jammu and Kashmir has claimed the lives of five persons of a single family who were on Saturday found dead in a room due to asphyxiation in Srinagar. 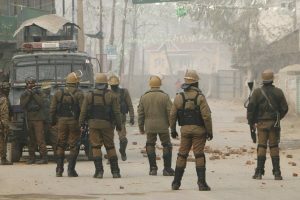 Three terrorists were killed in Mujgund on the outskirts of Srinagar following an intense 18-hour-long gun battle that ended on Sunday morning. 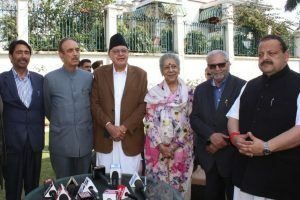 Mir also criticised BJP national general secretary Ram Madhav for accusing the NC and PDP of forging an alliance at behest of Pakistan.